Samsung’s new Galaxy S8 phone is stunning. But its $100 price hike is hard to swallow. That’s how much extra you’ll shell out for the S8, which starts shipping Friday for about $750 — $100 more than the iPhone 7 and last year’s Galaxy S7 when it launched. A larger sibling, the S8 Plus, goes for about $850. True, the S8 phones come with several refinements that, totaled up, are indeed worth more than $100. But it’s hard to recommend an all-frills phone when many cheaper phones do just fine. The S8 is for those who want elegance — and are willing to pay for it. After spontaneous fires that forced the recall of the Galaxy Note 7, Samsung is playing it safe on the battery and subjecting the S8 to tighter inspections. Instead, it’s pushing the boundaries — so to speak — on the phone’s display. 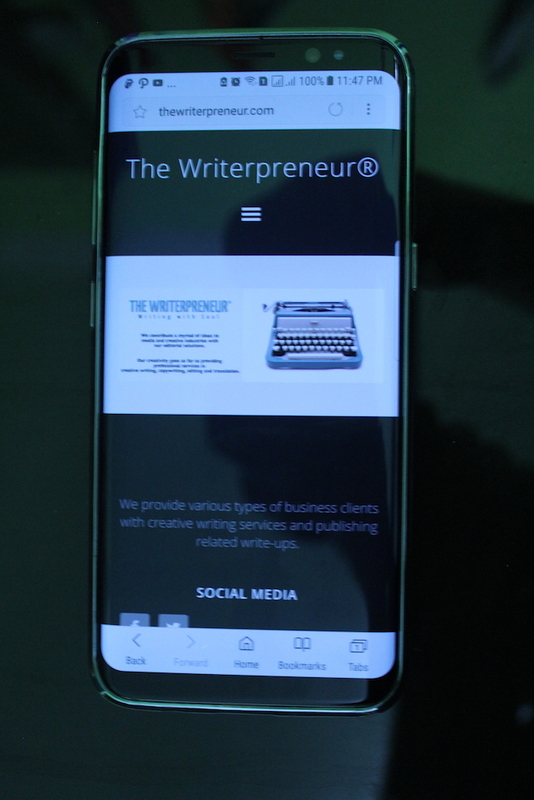 Samsung minimized the phone frame and got rid of a physical home button to free up space for an “infinity display,” a screen that seems to flow right into the phone’s curved left and right sides. The 5.8-inch S8 and the 6.2-inch S8 Plus both have nearly 15 percent more display space than last year’s comparable models. But the phones themselves aren’t wider. In fact, the phones feel more comfortable thanks to sides that curve around to the back; last year’s curved S7 Edge model feels boxy by comparison. The bigger screen fits more lines of text, but doesn’t necessarily make video more immersive. While video on YouTube and Facebook gets automatically adjusted to fill the space, Netflix and Hulu movies just leave wasted black space on all four sides. You can tinker with that manually — but for $100, you shouldn’t have to. The S8 and S8 Plus have more physical space inside, but Samsung used it to give the battery more breathing room while keeping its capacity roughly the same as last year. 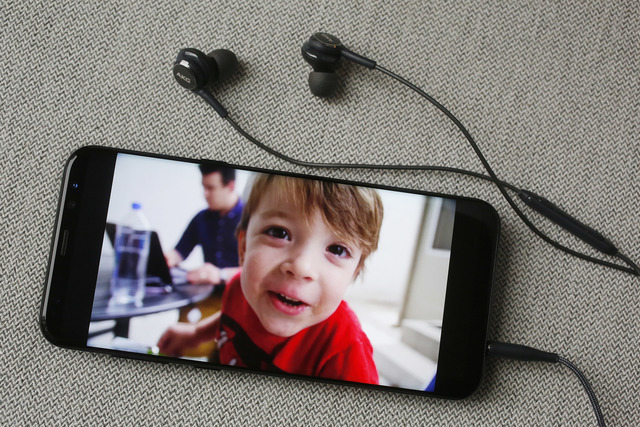 Though a larger display drains the battery faster, my tests of streaming video found that the new phones consumed power more slowly than last year’s models. And even with constant use — taking photos, watching video and playing music and podcasts — the new phones still made it to bedtime with power to spare. Samsung credits software and chip improvements. Like the doomed Note 7, the S8 has an iris scanner to let you unlock the phone by looking at it — at least in theory. But you have to swipe the screen first and position it from your face at just the right distance. I’m sure Samsung, a South Korean company, meant no offense, yet I was ticked off when the phone instructed me, an Asian-American, to “open eyes fully.” Oh, and the scanner doesn’t work if you’re wearing glasses. The fingerprint scanner was faster and more convenient for unlocking the phone. But you have to be careful not to smudge the adjacent camera lens by mistake now that the scanner has been moved to the back. Samsung is introducing a digital assistant called Bixby, but voice features intended to rival Amazon’s Alexa and Apple’s Siri aren’t ready yet. (Voice dictation does work with a reminder feature, though.) Bixby will also highlight appointments, trending stories and app suggestions, much as existing features on iPhones and other Android phones already offer. One promising feature aims to provide translations and product information using the phone’s camera. It’s like the Firefly feature on Amazon’s derided Fire phone , and it makes the same types of dumb mistakes — it identified a can of Diet Coke as four other sodas instead. And the translation tools were incomplete at grabbing passages and failed to automatically detect the language you’re translating from. Samsung throws in a pair of AKG premium headphones, valued at about $100. My ears weren’t good enough to discern a difference, but it’s nice to get headphones when many phone makers have stopped including them. The phone also comes with 64 gigabytes of storage, which frequently jacks up the price of other phones by $100. Those curved edges? Those also previously cost an extra $100. The S8 seems like a bargain for only $100 over the S7 at launch. There’s speculation that Apple will come out with a pricier, feature-rich iPhone for its 10th anniversary this year — but it’s expected to update the existing iPhone 7 line as well. Those who can’t live with yesterday’s technology won’t be disappointed with the S8. But for everyone else, Samsung could have also offered a lower-priced alternative with fewer goodies.